Imagine the capabilities of one. It could be lifted, like so many are talking about, and used as a mini Rock Crawler. It has a short wheelbase and tiny overhangs making it an ideal base for off road tuning. OR you could go the other way and make it a crazy hot hatch killer. Lower it and give it a road holding suspension and maybe a few chassis tweaks and it could be a competant little beast. 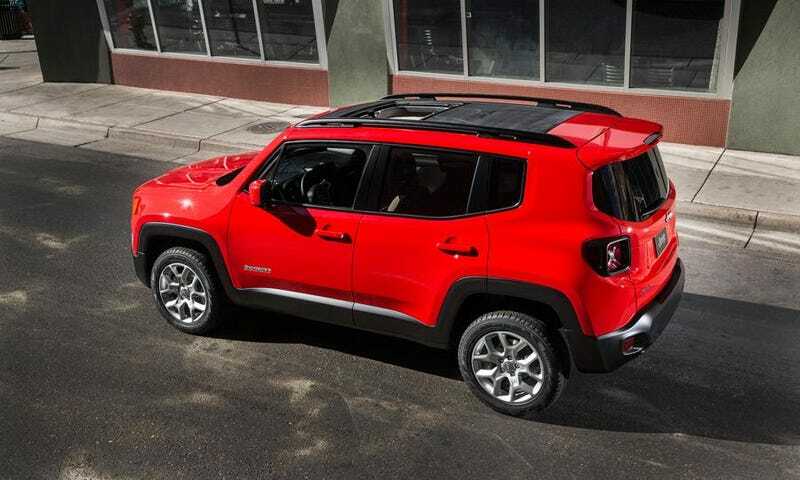 Just think what an SRT Renegade would be like. Aggresive front diffuser, low to the ground, give it a manual or the DCT they were talking about, throw in a Pentastar or maybe a fiat group turboed four-pot. Anything north of 230 HP, AWD, manual/paddles, what's wrong with that?? It just adds to the selection of already amazing performance deals on the market today: Focus ST, Fiesta ST, Toyobaru Twins (although not as practical), GTI, etc. So for me the Renegade is an awesome vehicle. Yes 90% of them will be seen in shopping malls and at the salon, but what about 90% of the focuses on the road? I don't care if Jeep makes it into a hot hatch, it it's a good one then where's the problem? So many people complain about it diluting the brand - take a look at the liberty and compass for crying out loud and tell me they aren't soiling the sacred seven slit grill. For the 10% that go offroad or get the theoretical SRT renegade it will all be worth it.